By Norman C. Rodriguez, J.P.
Attorney Richard Stuart's death was literally felt by a number of lecturers at the University of Guyana, where I am presently studying law, including the Head of Department, Professor Eversley; he was shocked and saddened by Richard's death. Mr. Stuart was amongst the first Belizeans to study law at the University of Guyana. 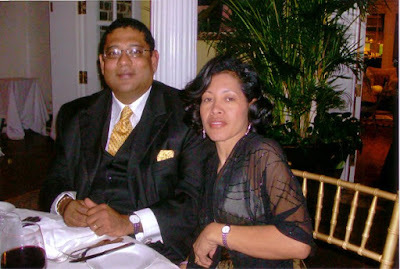 He was very instrumental in preparing me for the life here in Guyana. 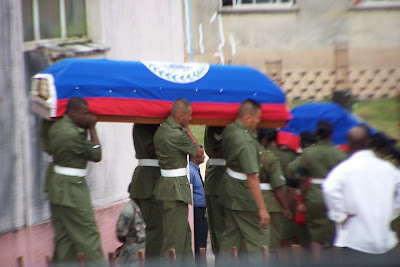 The popular statement that crime knows no borders showed its stark reality once again last weekend across Belize as, like a cancerous sore, murder found its way into the core of the Belizean society and left a big void in the lives of a number of Belizeans. In one weekend, three mothers and two fathers including Belize’s young lawyer and promising leader, Attorney Richard Stuart became statistics numbers 102-105 for 2010. 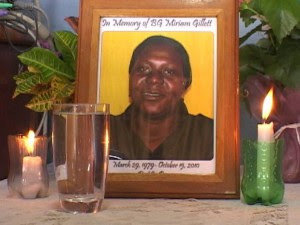 While this shocked Belizeans and others at home and abroad, the void created by these senseless murders will be mostly felt by a number of grieving family members and those five young children, including four orphans, who will spend the rest of their lives trying to pick up the pieces and fill that void left by the absence of parents, husbands, wives and relatives. 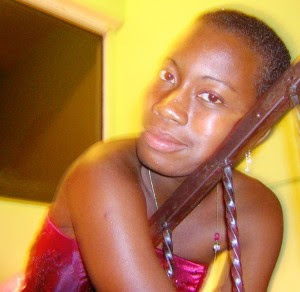 More than that, these senseless murders is another signal that criminals are not deterred from the senseless acts of murder which continue to plague Belize weekly. The most recent senseless murders of Attorney Richard Stuart and his wife have spurred Belizeans at home and abroad to action and a resounding call has once again echoed from Belizeans everywhere for capital punishment to be reinstated. Crime knows no boundaries and a weapon does not discriminate. It has become the norm especially for those living on the south side of Belize City to wake up to another grapevine report that someone they know has been shot again. As a society, we often ignore any form of anti-social activity occurring anywhere but in our own neighborhood. This is not wise because crime spreads like a terminal disease, and it is only a matter of time before it strikes fatally in our communities and homes. We have seen this manifestation become our reality too often. Many others have fallen innocently before, and we have often watched tearful mourning parents, children, and other relatives go to pieces over the loss of their loved ones and the manner in which their lives have been taken. Today, we join the families of these most recent victims in mourning and pray that serious change will come. It will take more than hope for the festering issue of crime to be discarded in the past though, and these most recent attacks and murders of high profile Belizeans will require a national effort. Sadly, the politicians are always blamed when things go wrong, but if we do not change the attitude where politicians are expected to perform miracles, then woe be unto us and our society. Politicians are humans just like us who can become emotional and fail too, and those of us who are Christians know that we should put our trust only in God. Only God can work miracles, but people can move mountains when they unite, and that may be what we need to do. We need to pool our resources together and create change in our communities. We cannot stand aside like a parade or carnival viewers on the wayside to enjoy the sights and sounds because a crime scene is not a festive occasion. We can do much together, so let’s transform those volumes of hope and that resounding call for change into ideas and actions for change. As Belize prepares to send Richard and his wife off, let his passing be a symbol of transformation for Belize, but let us not watch him go off in vain. Let us commit ourselves to a continuous effort for change; let us commit ourselves to understanding what is causing these murders, and let us use our experiences and knowledge to formulate solutions. We must also not continue to ignore that crime has a way of creeping even into the lives of those who put up walls, bars, and pay for protection, so take heed and let us wage war against crime. In closing, I ask that we do not forget those two young mothers, Miriam Gillett and Raylene Dyer, and that young father who was also senselessly killed. On behalf of the University of Guyana’s Law Faculty, the Loyal and Patriotic Order of Belize-Miami Chapter, Village View Post, we express our deepest condolences and wish God’s blessing on all those affected by these losses as you go through this trying time and mourn the loss of your loved ones. neighborhood. I know this might sounds corny but with God on our side we can make a difference. There are so many other ways we can help such as passing on information to the police in order to put these cold hearted criminals where they belong- Jail.